Published in the March/April 2014 NAWCC Bulletin, starting on page 197 and in the May/June NAWCC Bulletin. Folks who visit my shop often comment that I seem to have a lot of tools. This can be a bit daunting for someone who is considering getting started in clock repair. Fortunately many of the tools I have are focused on very specific aspects of mechanism restoration, tools that are not needed most of the time. This Tid-Bit discusses the tools I use most often – the tools that I think are needed to do good work. Thinking about tools takes me back to when I decided that I wanted to get serious about clock and watch restoration – when I concluded that I needed to learn to use the watchmakers lathe. I signed up for a 2 week lathe course taught by Roy Hovey. A week later a list of required tools showed up in my mail box. Fortunately (or perhaps not) I had already discovered a couple of clock supply houses so it was an easy thing to go down the list and order all the things needed to attend the class. Funny thing was, attending the same class was a truly wonderful couple, Harry and Peggy Blair. I don’t remember the whys and wherefores, but they had with them box after box of old tools. Which they were more than happy to pull out and let the members of the class pick through and buy. At truly wonderful prices. I saw immediately was that the older tools were better made, elegant even. And, for me, the patina of age only made them more attractive. Don’t get me wrong, not the patina of abuse (like marks where someone had used a pair of pliers on a pin-vise), but the wear that results from a tool being used hundreds of times. A set of Starrett pin vises I bought from Harry are in the top drawer of the small cabinet in front of my bench. The new ones I bought for the lathe course? They were given away years ago. Which in a roundabout way brings me to why I chose this as the next subject for a Tid-Bit – I was using my pin vises to clean up the heads on screws from a wonderful miniature Viennese mechanism and realized just how much I really like those pin vises. For me at least, the way a tool feels in my hand is an important part of the process of repairing clocks and watches. Clumsy tools don’t make for good work. And tools that were designed for garage or home improvement work generally don’t make good watch and clock tools. None the less I often see clock makers using tools that are much too large, or using tools with serrated jaws that damage parts. The easiest example is needle-nose pliers. 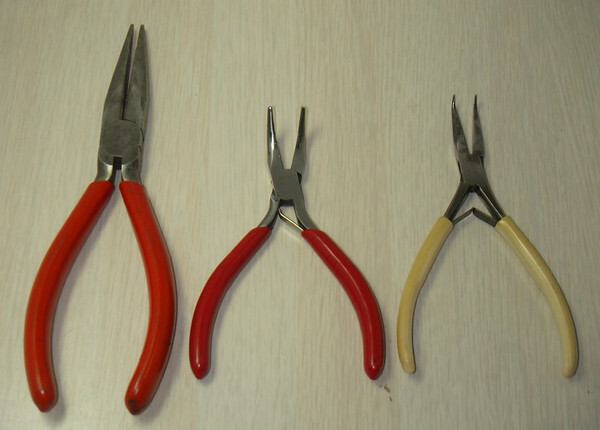 Figure 1 shows 3 pairs of needle nose pliers, ranging from big to appropriate.